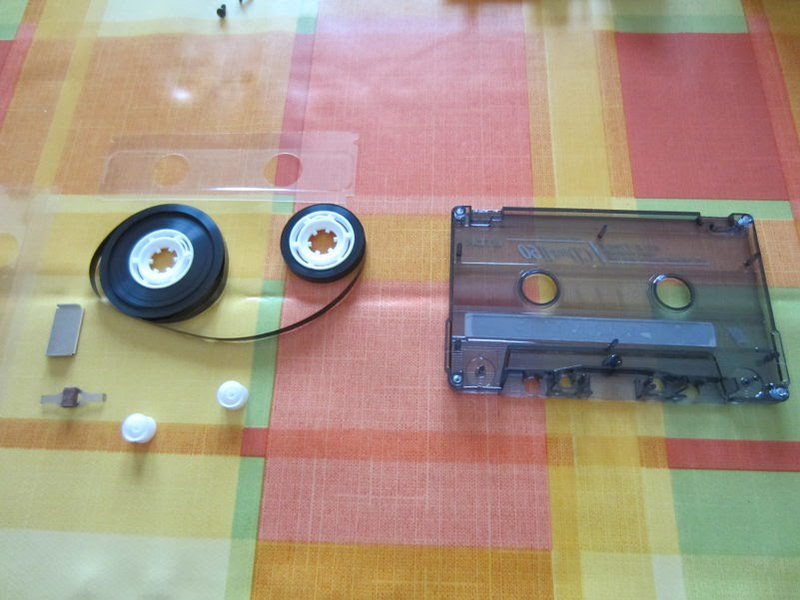 Raspberry Pi case made from an old cassette tape #piday #RaspberryPi @Raspberry_Pi « Adafruit Industries – Makers, hackers, artists, designers and engineers! 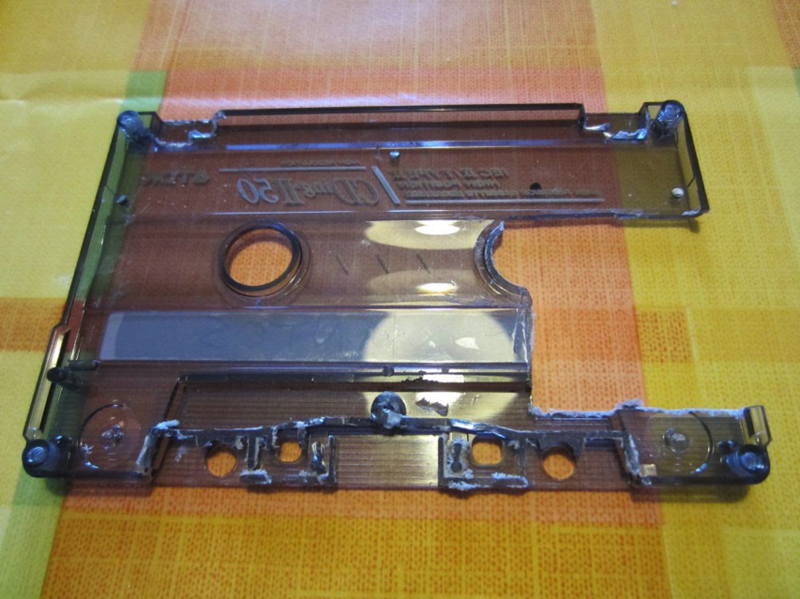 Michele Alessandrini made this fun DIY Pi case out of an old cassette tape! Having some spare hours and a Raspberry Pi, I didn’t resist to add something to the vast field of Raspberry Pi’s cases and mods. I was thinking of a way to make a cheap case for the Pi, possibly with spare parts, and old musicassettes came to my mind. Searching the web, it seems that nobody did something like that, so… here we are. 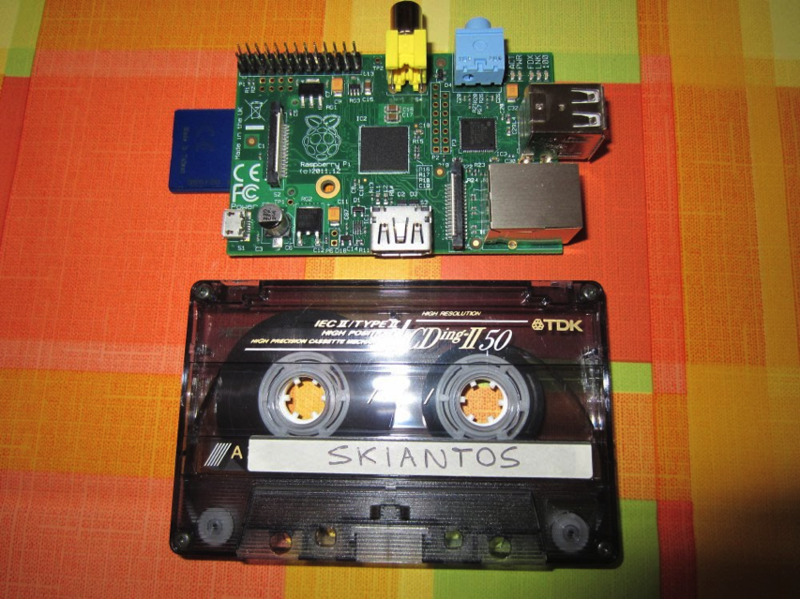 If you look at this photo, it seems like a cassette is quite a perfect match for the Pi. I picked one with screws, that can be opened and re-closed. I opened it and removed all the interior parts. First, the base. 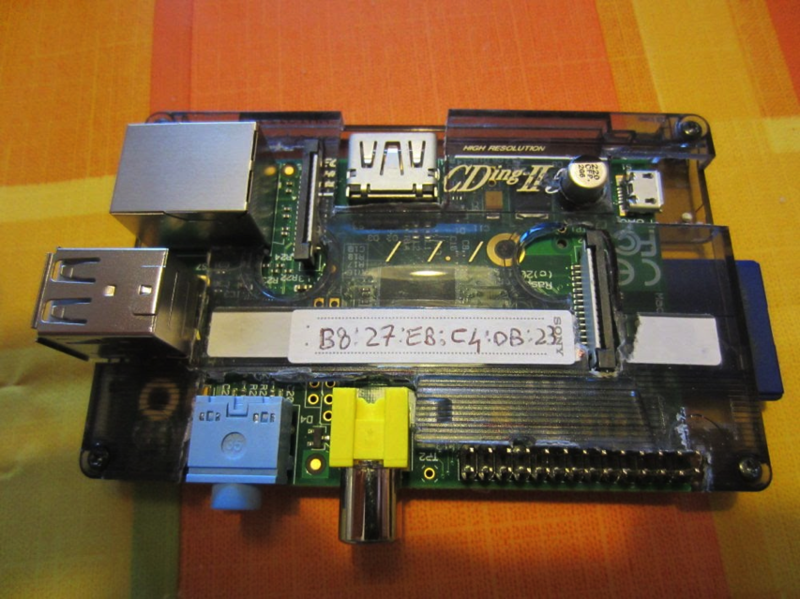 I examined how the Raspberry could fit, and cut away all the plastic pieces that protruded from the base, except the ones that were actually useful to keep the board in place. 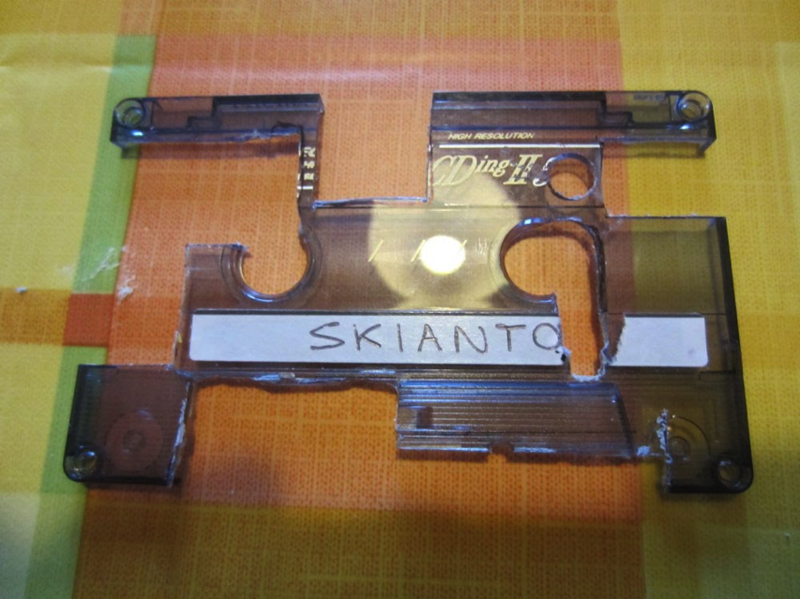 Also, the SD connector on the bottom is quite thick, I cut a window for it, that will also be the card insertion slot. And now for the cover: you can see all the holes that were needed to make the whole thing close. 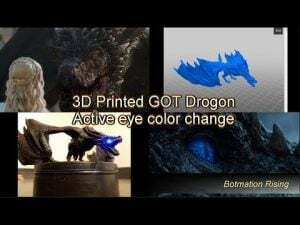 It’s not a perfect work, I used a cutter, a little saw, pliers, a file and a drill. It was much a work of trials and refinements. Some holes span two or more connectors; they were meant to be a single hole per connector, but the tiny plastic parts between them did break, due to my rudimentary tools. Also, I don’t know if the board could be better positioned to avoid those thin, fragile parts you can see in the photo. Anyway, to my great surprise, it worked! Here is the complete case.